The report first describes the way that country estimates have been prepared and then explains the approaches and assumptions that were used to project fertility, mortality and international migration up to the year 2100. 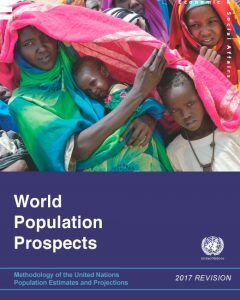 The report also provides an overview of the variants used in generating the different sets of population projections as well as information on the recently developed probabilistic projection methods, which depict the uncertainty of future demographic trends, with results presented for all countries and areas of the world up to the year 2100. The Population Division has continued to refine the methods used for these probabilistic projections. It should be noted, however, that making projections to 2100 is subject to a high degree of uncertainty, especially at the country level. In that regard, users are encouraged to focus not only on the medium variant, which corresponds to the median of several thousand projected trajectories of specific demographic components, but also on the associated prediction intervals, which provide an assessment of the uncertainty inherent in such projections. Detailed information on the uncertainty bounds for different components at the country level is available on the website of the Population Division, www.unpopulation.org (see also: https://esa.un.org/unpd/wpp/Graphs/Probabilistic/). DEMOGRAFÍA. ESTADO DE SITUACIÓN Y PROPUESTAS EMPRESARIALES. 2018. Informe CEIM. It is evident that the older population has peculiarities in relation to the increase of socio-health needs, digital divide or participation in employment and training, which are not alien to the business world. Therefore, the present study is based on an identification of the big blocks of subjects that they connect company and demography. 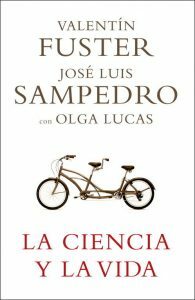 LA CIENCIA Y LA VIDA. 2008. PLAZA & JANES EDITORES. 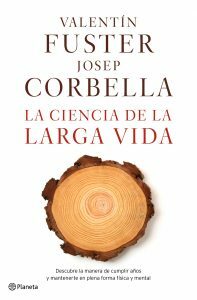 Since the writer José Luis Sampedro was treated by Dr. Fuster at the Mount Sinai Hospital in New York, among them, there was more than just a meeting between doctor and patient. Since then, on the rare occasions that have coincided, they have maintained passionate and passionate conversations. Two men, of different formation – a humanist and a scientist – but radically complementary. El Mayor Activo. 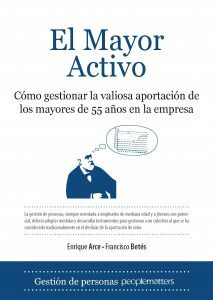 Cómo gestionar la valiosa aportación de los mayores de 55 años en la empresa. The forecasts announce that the Spanish population will be the oldest in the EU in 2050. The “elders” between 55 and 64, the closest to retirement, will be a key collective. Politicians and companies face a double challenge: to make the pension system sustainable and adopt measures for a group that has usually been considered in the decline of the contribution of value. Cervantes wrote El Quijote at the age of 57 years. The halo of loss of effectiveness that accompanies aging must be banished. Functional deficits occur, but the accumulated experience can be a source of new strategies, which can even pay a better performance of the greater compared to the young. A person of 55 years is today in better conditions than someone of that age in the 40s of the last century. Medicine and healthcare have evolved so that the performance of today’s greatest is comparable to that of yesterday’s middle age. The thesis of this book is clear: a solid economy requires a labor market that takes advantage of all the talent of its population. For this, it is necessary to harmonize the sustainability of the pension system, the competitiveness of the company and the desire of many “seniors” to see their contribution recognized. El prestigioso cardiólogo nos ofrece las claves para cumplir años y mantenerse en plena forma física y mental. The prestigious cardiologist offers us the keys to achieve years and stay in full physical and mental. Age is just a number. Some people age more quickly than others; some climb eight thousand years old while others are unable to climb the mountain after forty. On the Greek island of Icaria people live for half a decade more than on the continent and the same happens in Okinawa, where they reach three times more people than in the rest of Japan. And it is that aging and fulfilling years are two different things and, although we all celebrate birthdays at the same pace, not all of us age at the same time. Valentín Fuster, despite being an eminence, a doctor of world reputation, can do nothing to stop our chronological age. What it can do, and in this book is proof of this, is to help us slow down, even slow down, our aging, incorporating into our lives exercises, routines and activities, physical and mental, that delay the most from the most superficial changes – wrinkles, for example – to cell phones and neurons. The science of long life reveals to us what are the secrets of longevity and how to act to stay physically, intellectually and emotionally active. It is the art of living more, but, above all, of living better. Better. 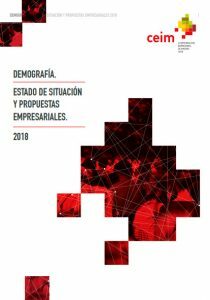 Se realiza un diagnóstico de la gestión de la diversidad cultural y de género en las empresas españolas, haciendo énfasis en las pymes. Además se identifican vías para promover el mejor aprovechamiento de las oportunidades asociadas a la diversidad cultural y de género en la empresa española. A diagnosis is made of the management of cultural and gender diversity in Spanish companies, with emphasis on SMEs. In addition, ways to promote the best use of the opportunities associated with cultural and gender diversity in the Spanish company are identified.